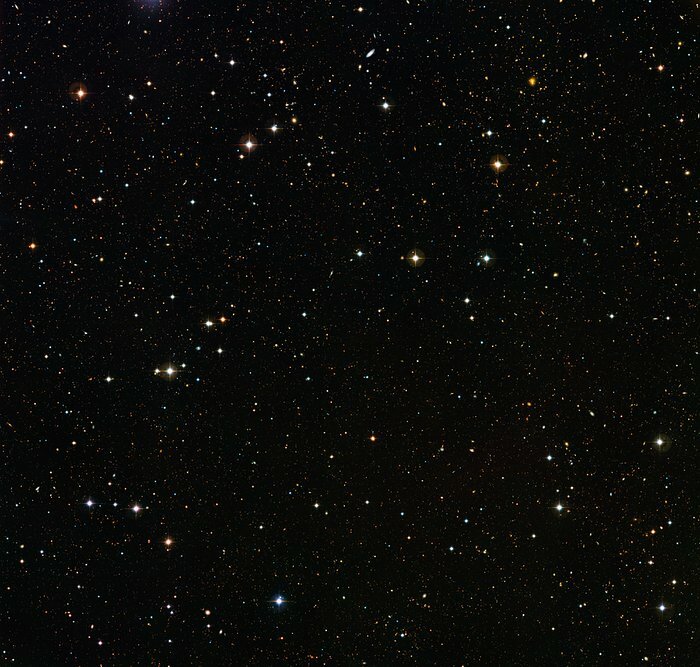 Can you count the number of bright dots in this picture? 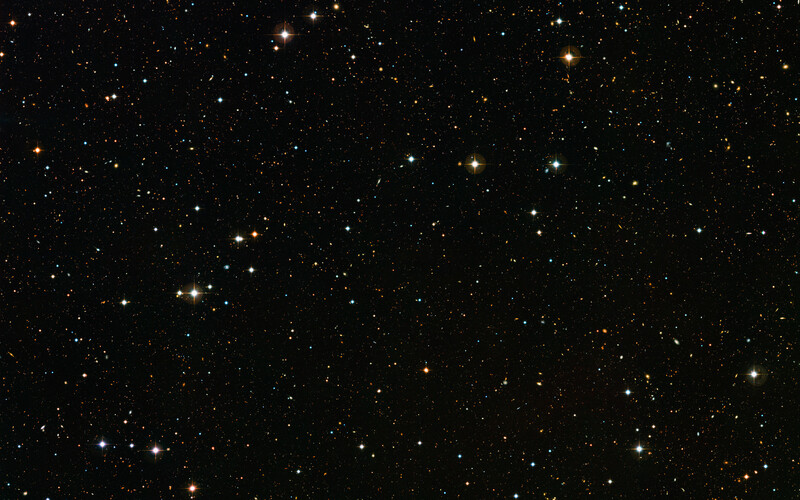 This crowded frame is a deep-field image obtained using the Wide Field Imager (WFI), a camera mounted on a relatively modestly sized telescope, the MPG/ESO 2.2-metre located at the La Silla Observatory, Chile. 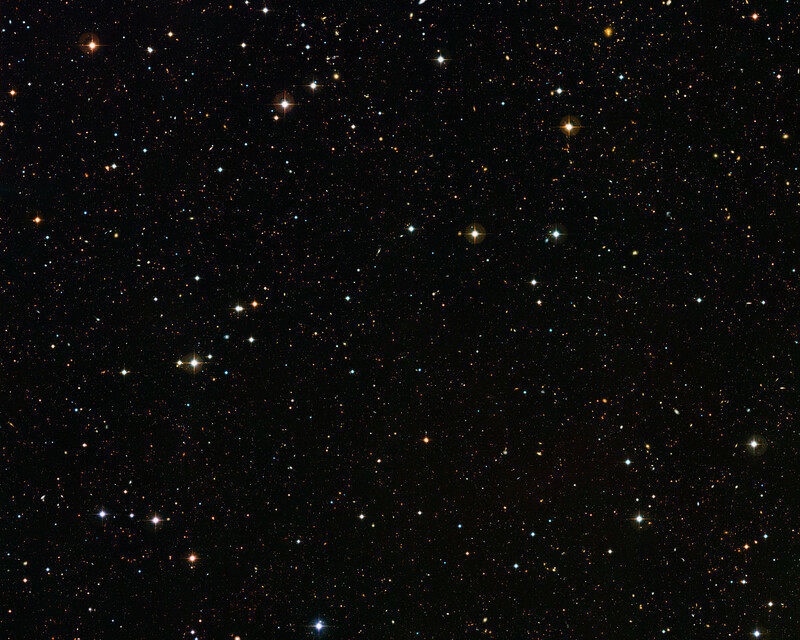 This image is one of five patches of sky covered by the COMBO-17 survey (Classifying Objects by Medium-Band Observations in 17 filters), a deep search for cosmic objects in a relatively narrow area of the southern hemisphere's sky. 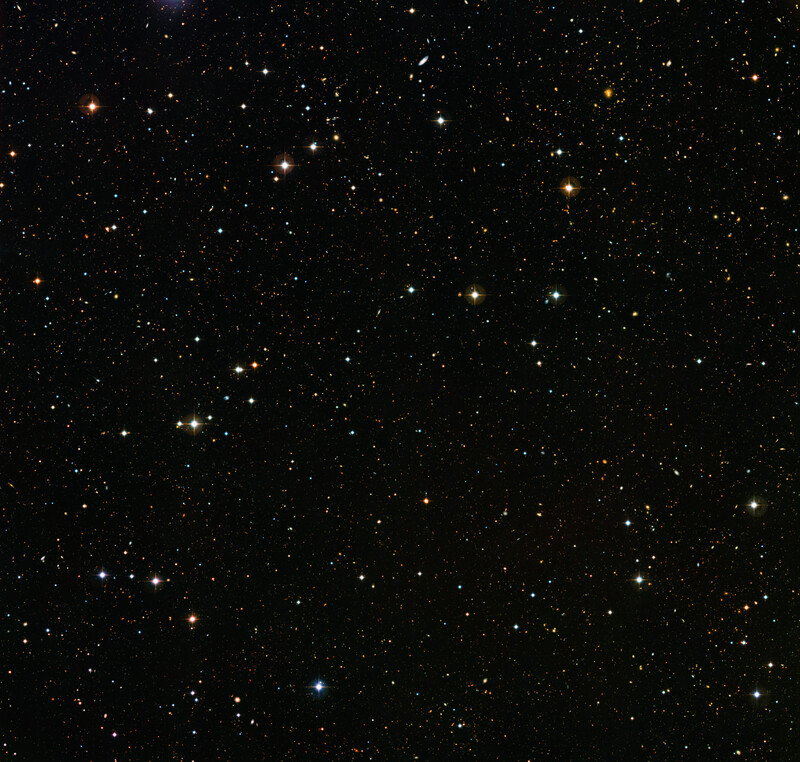 Each one of the five patches is recorded using 17 individual colour filters. Each one of the five COMBO-17 images covers an area of the sky the size of the full Moon. The survey has already revealed thousands of previously unknown cosmic specimens — over 25 000 galaxies, tens of thousands of distant stars and quasars previously hidden from our view, showing just how much we still have to learn about the Universe. 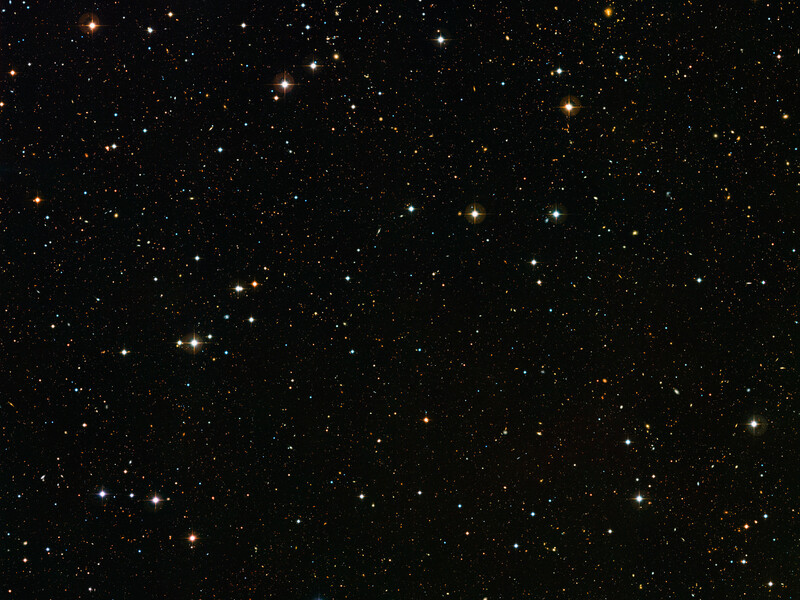 Some of the most distant flecks of light visible in this photo are galaxies whose light has been travelling for nine or ten billion years before reaching to us. By studying galaxies of different ages astronomers can understand how they evolve in time, from mature nearby galaxies similar to our galaxy, the Milky Way, to young ones in the distant Universe that reveal what the cosmos was like in its infancy. Position (Dec): -29° 34' 55.07"